Brett Barber | Dallas Personal Injury Attorney | Branch & Dhillon P.C.Branch & Dhillon, P.C. Brett has practiced in Texas courts since 2000, handling a broad spectrum of civil litigation, including all types of personal injury cases on both sides of the bar. 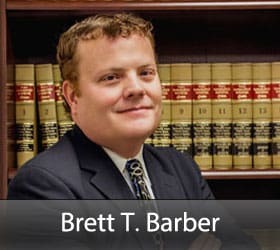 Brett has also handled business disputes, intellectual property disputes, unfair trade practices, product liability matters, employment disputes and construction defect matters.